“Enormous export possibilities, both in the European Union and worldwide, open up to Polish vodka producers,” says Ulrich Adam, the General Director of Spirits Europe. The Polish market of alcoholic beverages is worth approx. PLN 57 billion, of which the spirits market accounts for 40%. The industry stresses that Polish vodka is a product with a long tradition and global reputation, with a huge export potential. Among other things, the development of this potential requires promotional support, fair taxation and combatting the grey economy. “The spirit sector is a branch of economy that brings an enormous amount of money into the state budget, in the form of public levies. We employ more than 100,000 people, which is another added value of the spirits sector for the Polish economy. Moreover, we purchase very large amounts of crops, cereal surpluses, potatoes. We are a co-operator for a great number of Polish companies with regard to supply and distribution of spirits,” Witold Włodarczyk, the President of the Association of Employers of the Polish Spirit Industry (ZP PPS), enumerates in an interview with the Newseria Biznes news agency. The data developed by the ZP PPS show that the spirit industry brings approx. PLN 12.6 billion annually into the state budget, in the form of public levies. One job in this industry generates 14 more along the entire supply chain. Overall, directly and indirectly, the industry maintains approx. 100,000 jobs. According to the statistics of the Ministry of Agriculture and Rural Development, it includes 135 enterprises, 98% of which are micro-companies, small or medium companies. In the overwhelming majority (90%), they cooperate with domestic Polish suppliers, consuming approx. 750,000 tons of cereals and 50,000 tons of potatoes annually, which also translates into the Polish agriculture. Moreover, the spirits branch has a significant share in Polish exports: last year, the value of exports of spirits reached EUR 168 million. “We underutilize the excellent hallmark of our country, which is Polish vodka with its long tradition and global reputation. We are the largest vodka producer in the EU and the fourth largest one in the world, following Russia, Ukraine and the USA. The utilization of the brand comprised by Polish vodka and spirits means a great potential. Today, we export approx. 20% of the production. This is not enough, especially considering how much whisky is exported by Scotland, how much cognac by France, and how much tequila by Mexico. In our country, some people approach the subject of promotion of Polish exports of spirits with certain shyness, like it was an embarrassing subject, as this is, after all, alcohol. Meanwhile, a Scotsman, a Frenchman or a Mexican is proud of his domestic product, which translates directly to a very high export value. I think there is a vast potential in this area, allowing us to export much more,” Witold Włodarczyk remarks. The president of the ZP PPS assesses the Polish market as saturated. Consumption maintains at a roughly constant level, it is rather the drinking culture that changes, rather than the amount of alcohol. Yet exports provide enormous development possibilities for the industry. However, this requires a strong domestic economy and fair treatment – among other things, in the issue of taxation. “The current regulations discriminate against the spirits industry. The excise tax is calculated in such a way that this industry pays much more than the others, for which there is no sound reason. The regulations in force in this regard date back to early 1980s, while many things have changed ever since: in the model of alcohol consumption, in distribution, in manners of sales,” Witold Włodarczyk stresses. High excise tax burden and the specificity of spirits cause this industry to be particularly prone to the phenomenon of grey economy. The Republican Foundation estimates that spirits account for 80% of illegal liquor. “All tax-paying industries, particularly those paying the excise tax, are sensitive to us from the viewpoint of the state budget, and this is why we attempt to combat the grey economy. There is one more additional aspect – illegal alcohol poses a hazard to life and health of consumers. This is why the KAS is trying so hard to limit the grey economy in the alcohol industry. 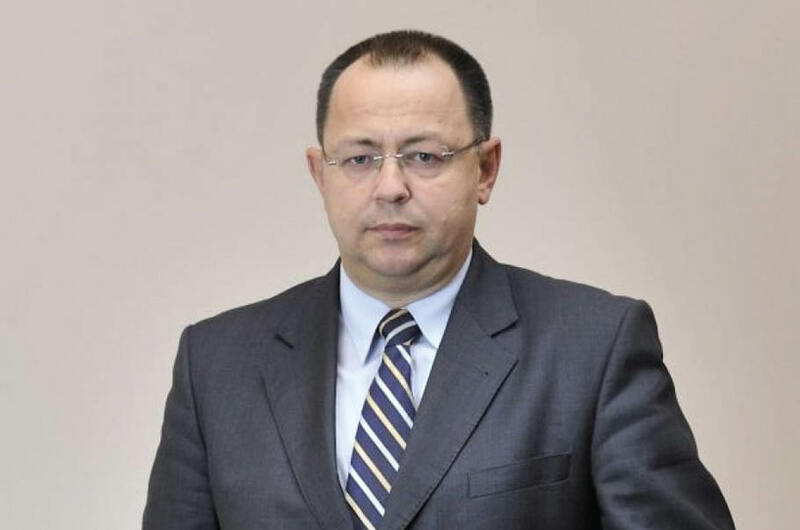 We have succeeded in the area of fuels, as well as tobacco products, and we also record significant successes in the alcohol industry,” says Piotr Walczak, Deputy Head of the National Revenue Administration (KAS). He stresses that illegal alcohol in Poland is, above all, denatured alcohol. In other countries, it comes predominantly from illicit distillation or smuggle. The nature of the Polish grey economy is different – the main source of illegal alcohol in Poland is industrial alcohol, exempt from the excise tax, or spirit-based industrial products (solvents, grill fire starters, windshield washer fluids, etc.). “Most of the illegal alcohol in Poland is decontaminated alcohol. It is often passed off as smuggled alcohol or products of illicit distillation, but actually, it usually comes from denatured technical alcohol decontaminated using amateur methods which require various harmful chemicals. This is why it is simply harmful to potential customers. The state budget suffers a loss but one should also regard this issue from the viewpoint of consumer safety,” Piotr Walczak says. Combatting the grey economy should be a priority, not just in Poland but all around Europe, since – as stressed by Ulrich Adam, the General Director of Spirits Europe – the spirit sector, to a large extent, translates to a large ratio in the European economy, maintaining more than a million jobs. “In Europe, the future of the industry is bright. Now, our producers are focusing on a broader trend known as premiumization. On the one hand, the consumption in Europe is dropping in the long run but the consumers who buy alcohol decide to choose higher-grade goods – they drink less but prefer better-quality liquor. European producers are exceptionally well-prepared to meet such requirements, since we have a whole range of well-known and traditional alcohols with geographic indications – such prominent brands as cognac, Polish vodka, Scotch whisky, but also a very active craft alcohol scene characterized by high innovativeness, introducing many new products to European markets each year. This is beneficial,” says Ulrich Adam, the General Director of Spirits Europe.